Fall, much less Spring, seem ions away as we slog through these last hot weeks of summer. So take a breather from the heat, cuddle up with your bulb catalogs or your computer, and pass some pleasant moments selecting and ordering your spring bulbs for fall planting. 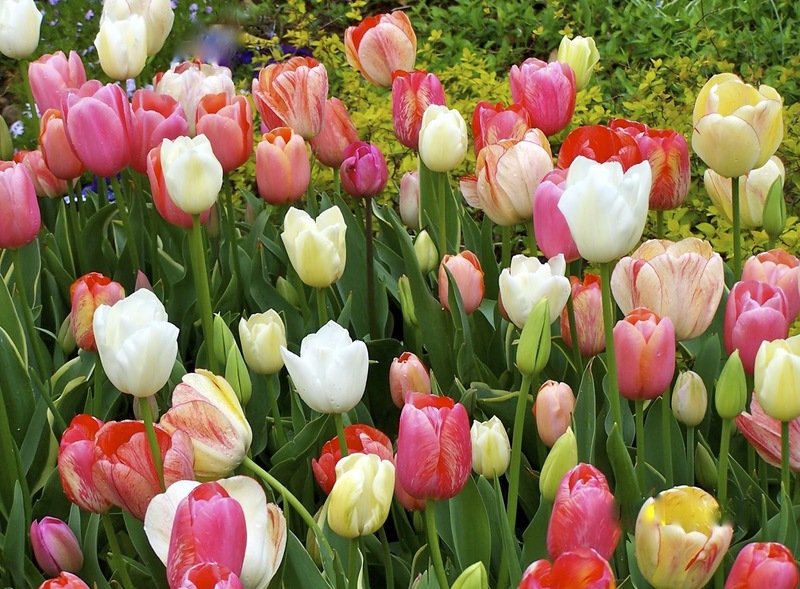 The early bird not only catches the worm, but also has the best selection of tulips, daffodils, and minor bulbs. Companies will neither ship you, nor bill you, until planting time for your area. Watch the video of last Friday's 4 YOUR GARDEN for other tips on bulb selection, and feel free to search this blog here (go to the main page; search line in right column) for past varieties and sources I have used.... and hopefully, some added inspiration. Happy Hunting!